Frenchman Bay Partners uses an adaptive management process developed by the Conservation Measures Partnership. Developing a vision: What do we want to be happening on our bay as a result of our conservation efforts? Creating a plan that helps to guide progress toward that vision. Setting the plan into action; getting things done and then monitoring the success of our actions. Analyzing data and then using the results to adapt our project. Sharing what we have learned with each other. 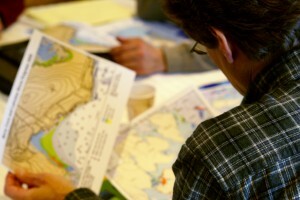 In order to gather more input for a bay plan, several focus group sessions were held in fall 2011. The results of these focus groups were incorporated into the initial framework of the Frenchman Bay Plan. In March of 2010, Frenchman Bay Partners convened an Upper Frenchman Bay Stakeholder Meeting to bring together people who had a stake in the future of Upper Frenchman Bay. The goals of the meeting were to gather information about marine resources, learn about conservation action planning and marine conservation agreements, identify areas in upper Frenchman Bay for further eelgrass research or conservation actions, and establish a mechanism for on-going information exchange among stakeholders. A second Stakeholder Meeting was held at MDIBL on November 10, 2010, to consider long-term planning for Frenchman Bay. A planning survey was conducted during the weeks leading up to the meeting (Survey) which helped to inform decision-making. Frenchman Bay Partners has now created a Frenchman Bay Plan using the Conservation Measures Partnership’s Open Planning Standards, and the Frenchman Bay Planning Committee has been established to guide the bay planning process. Support for the stakeholder process in Frenchman Bay has come from the Alex C. Walker Foundation the Maine Coastal Program, Maine Sea Grant, and The Nature Conservancy. 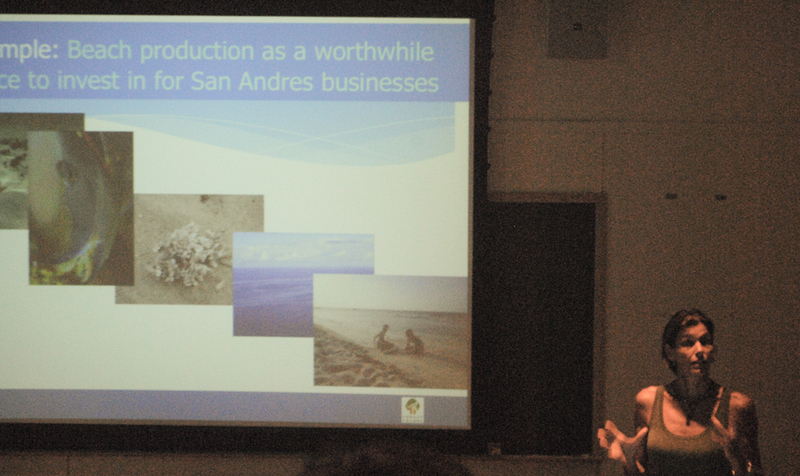 In October 2013, The Frenchman Bay Partners invited Tundi Agardy of Forest Trends to lead a workshop on market-based approaches to conservation. The workshop was attended by the Frenchman Bay Partners executive committee, other Partners and stakeholders around the bay. An action committee was formed to focus on pursuing market-based solutions for funding Frenchman Bay Partners projects. Read more about the workshop here.